Digital Yacht have launched an interesting hybrid product. Combining Class B AIS transponder with built in antenna splitter and WiFi interface to support Apple and Android tablets and phones. Class B AIS transponders have made a big impact on small craft navigation, but many potential users or installers are put off by the requirement for yet another VHF antenna. The new AIT3000 “Nucleus” from Digital Yacht changes that perception as it incorporates not only a full function Class B AIS transponder but also an antenna splitter allowing the main VHF antenna on the boat to be shared with the AIS and VHF. Digital Yacht have coined the name Nucleus because it can also become a hub for on board navigation. Apple IOS and Android support. Digital Yacht also offer a free AIS viewing app called iAIS as well as more sophisticated charting apps like NavLink. If you’re an Android user, AISView is also compatible. The NMEA interface allows connection to any AIS compatible chart plotter and USB is available for MAC or PC user as well as allowing programming of the unit with your boat details. Other features include a silence switch option allowing the unit’s transmissions to be stopped while continuing to receive AIS transmissions. Russ September 11th, 2014| No comments - be the first!|Tags: AIS - Multiplexer. Buy Raymarine AIS500 or buy £800 of Raymarine shares? But if you already have a reasonably sophisticated set up, and already have AIS, is it worth spending £800+ to upgrade to this unit? * LED Status Indicator Good – Surprising omission on so many marine electronics and very annoying when there is no status light and you are troubleshooting. * NMEA 0183 – Compatibility with Raymarine A, C, E and G Series Good – the great majority of Raymarine users must be on C series (or lower) still. * Silent Mode – Turn off transmit function during tournaments or races if you do not wish to be seen. Good – But only if you expect to be sailing in regions where piracy is possible – not really a problem in the Solent – yet! * Built-in NMEA multiplexor Not Good – I have a principle of using separate dedicated pieces of electronics instead of multifunction devices ion this situation. A faulty multiplexor can take down the whole backbone and all links between devices I would not want to troubleshoot that with a device that was doing so much else as well. See my posting here on multiplexors. * VHF Splitter – No need to buy a separate antenna. Utilize your existing VHF antenna and cable. Not good – don’t use splitters on your VHF cable!. keep the radio and its aerial as separate as possible. Yes I know that DSC has meant connecting the VHF to the NMEA circuit – but just don’t mess with the VHF aerial. This is a critical lifeline. Install a separate VHF aerial for AIS on the pushpit IMHO. * Includes dedicated external GPS antenna (16 channels) Not good – as per comment above. Keep the GPS separate, you probably already have one, get another one for backup don’t get one built in to another multifunction device. I last did a quick survey of transponders (or are they transceivers) in June 2008, but I have held off updating this since I believe that we can expect another revolution in AIS for small boats in the next 6 months. On that basis I would not buy the AIS500 now, if you already have AIS – if you don?t – then it is a very capable unit with the benefit of a back up GPS. 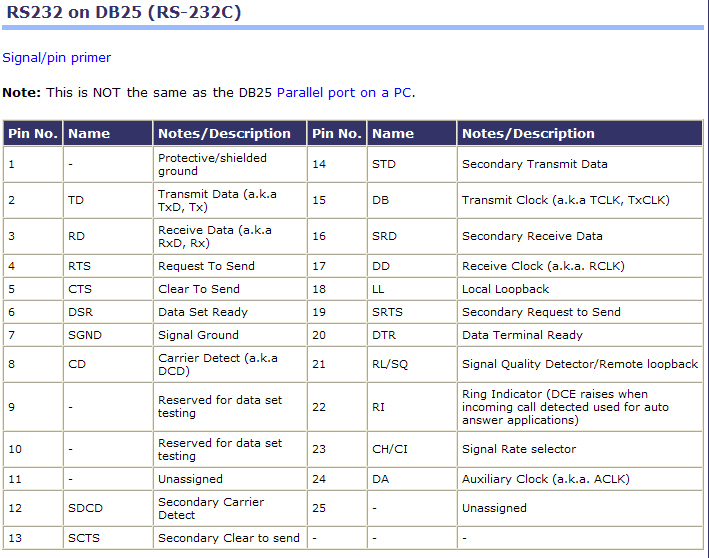 Russ August 24th, 2009| 2 comments - be the next!|Tags: AIS - Electronics - Multiplexer - NMEA - Raymarine. Anyone who has recently bought a laptop or PC with Vista on it may have discovered that there is no Hyperterminal software. You may also realise that this useful bit of software is needed to update configurations on marine electronics like multiplexers. An alternative piece of software is Poderosa which is open source and therefore free software. Russ August 11th, 2007| 4 comments - be the next!|Tags: Electronics - Laptops - Multiplexer - NMEA. If you have had to configure a unit such as a multiplexer you will have come across the part in the manual where it says use Hyperterminal. This is a free communications program that you can use to monitor the signals going in/out of the serial port on your laptop and to send configuration commands from the laptop to the multiplexer. For example to set one of the ports on the multiplexer to a higher speed such as 38,400 baud suitable for connecting your AIS unit. Signals and data from the AIS would then be routed via the multiplexer to your chart plotter for example. In my case I link a NASA AIS unit via my Brookhouse multiplexer to my Raymarine C120 chart plotter in this way. But to make it work I had to get my laptop, plug in a cable in the laptops serial port then put the bare wires at the other end into the Brookhouse multiplexer and tell the multiplexer to change the speed of one of its ports from 4,800 to 38,400 baud. Then unplug the laptop, connect the AIS and that was it – AIS data on my C120. If you are having trouble with Hyperterminal read these tech notes from Microsoft. Russ August 11th, 2007| 2 comments - be the next!|Tags: AIS - Electronics - Laptops - Multiplexer - NMEA. 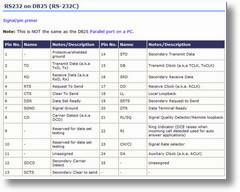 RS232 and RS422 and Comms Port – What does all this mean ? The trouble is that that the original standards for serial communications was elaborated upon by PC, printer, and modem manufactures all through the early years if the PC boom from 1980 to 1990 as they tried to innovate and outdo each other – oh, and also a few got tempted to be “plug incompatible” with their competitors! So for the real experts out there I know this is not perfect but I hope this simple guide will help all the rest of the mystified sailing community. 2. 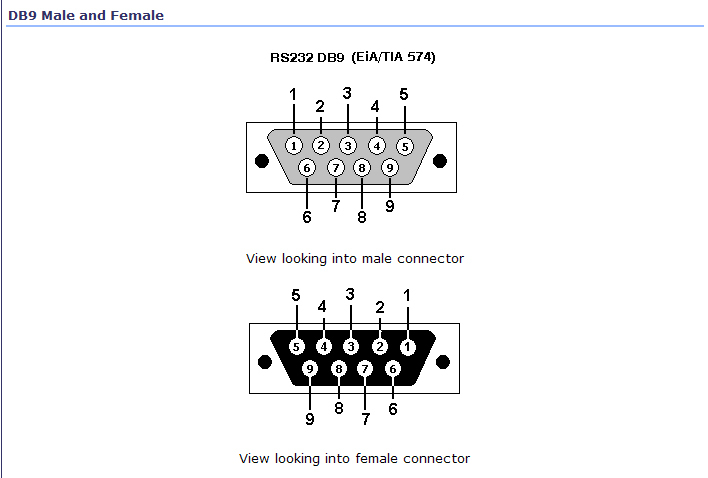 RS232 is older than RS422 and slower and less reliable. …click thumbnails for a larger image…. To send commands to a piece of marine electronics like a multiplexer you often have to connect up your laptop or PC and then bare the wires at the other end and stick them into the marine unit as bare wires. 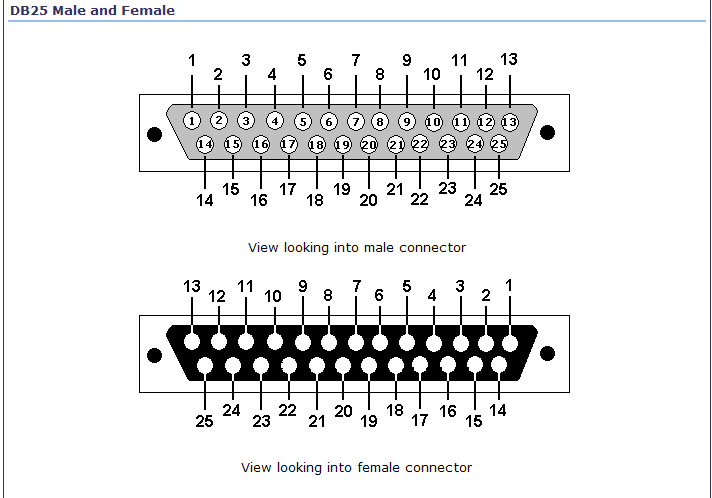 My advice is get a serial cable from a computer store that will connect to the laptop or PC – check the number of pins – and then cut the connector off at the other end. Now look at the pinout diagrams (click on the 3 thumbnails on this post for larger images) and check the wires using the wiring diagrams. Then you should be able to insert the bare wires into the correct sockets on the multiplexer – or whatever – its not worth making a proper connection – the configuration process is or should be a one-off. Then you connect your actual equipment. Russ August 11th, 2007| No comments - be the first!|Tags: Electronics - Laptops - Multiplexer.